Add details to your Glimmer Screened masterpieces with new Screen Prints clear stamps…or use them on their own! Thin stamp mount included. 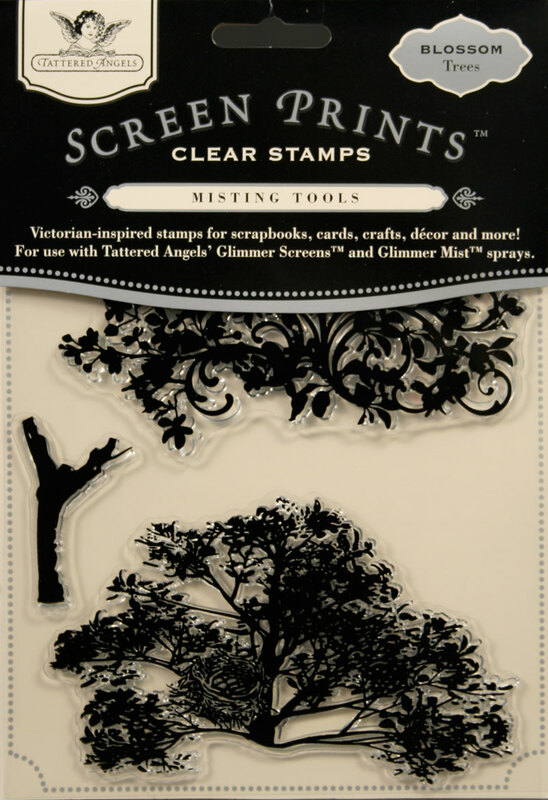 Tattered Angels Screen Prints Clear Stamps are Victorian-inspired stamps for scrapbooks, cards, crafts, decor and more! For use with Tattered Angels’ Glimmer Screens and Glimmer Mist sprays.